What a fantastic book! I am very impressed with this one and excited to recommend it for all the young girls in my world - even inspirational for the older ones in parts too. The biggest thing that stood out to me in this book is the skill set building it contains, not just for girls but both boys and girls would benefit from knowing it. It has so many interesting activities and learning opportunities packed into this little book. It is broken into sections. The first appealing to the girly side, so boys will want to skip this one for sure. 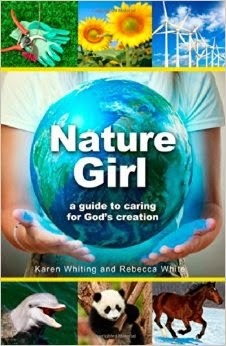 But in summary the sections are to do with looking after yourself from the inside out, how you eat, looking after the earth, looking after God's creatures, water, air, power, recycling, the value of parks and finally changing your attitude to be more 'green' in general. Each section includes appropriate scriptures, a quiz and a careers in this field area. Activities are things like how to purify water, how to clean up oil, how to test for worms in the soil and their importance, soil ph test, how to make bread, making a solar oven and so on. This book doesn't look overly impressive from the outside or even that the inside pages are like newsprint type paper with no colored illustrations or anything, but this is one gem in the rough for sure. I would highly recommend for all parents to get hold of this - even those with boys and skip the first section as it's great stuff for kids to know and experience. Please note that Booklook sent me a copy of this book to review however the views and opinions above are my own.